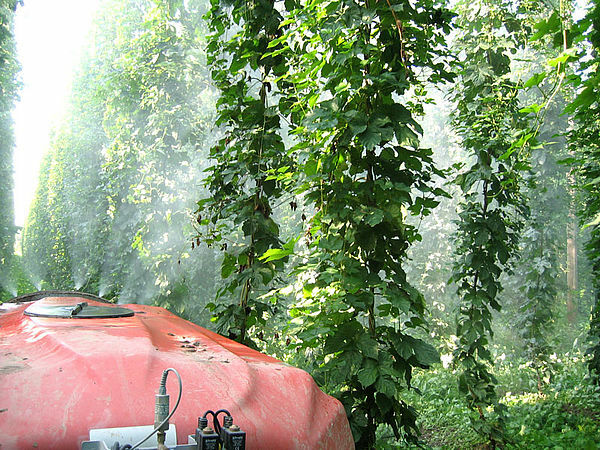 The hop plant is one of the most labour-intensive crops of all and there is an expression which says: “The hop wants to see its master’s eye daily”. New frameworks are constructed and existing ones repaired or replaced between autumn and spring. 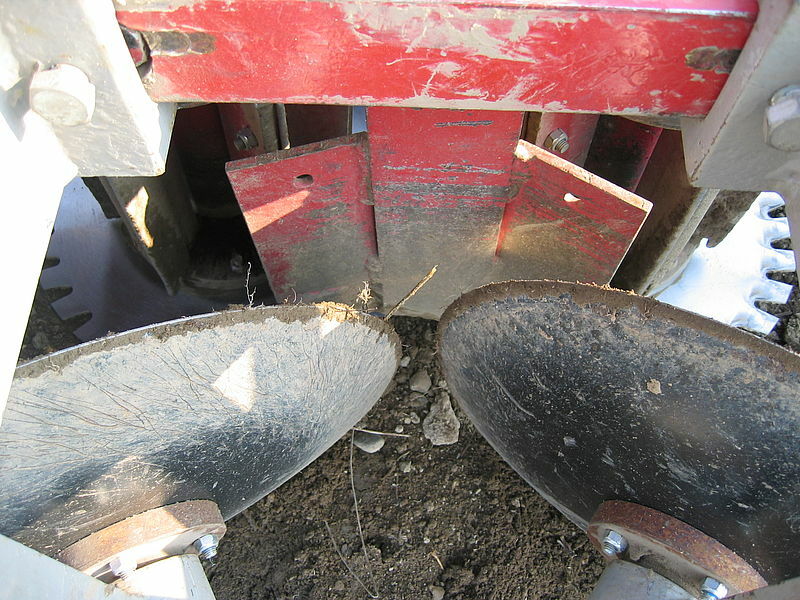 The root stocks are uncovered before cutting with a mouldboard or disc plough, or both in combination. 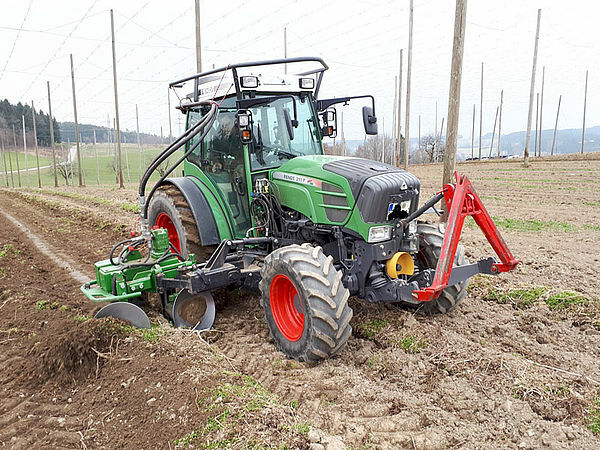 As much earth is possible should be drawn away from the ridge between the furrows, without damaging the stems of the hops. The stems are cut below ground level using discs that are 12 to 15 cm in diameter. The aim is to keep the plant deeply seated and to rejuvenate it. At the same time, cutting also helps promote the health of the plant as it significantly reduces systemic peronospora infections (downy mildew, a fungal infection). 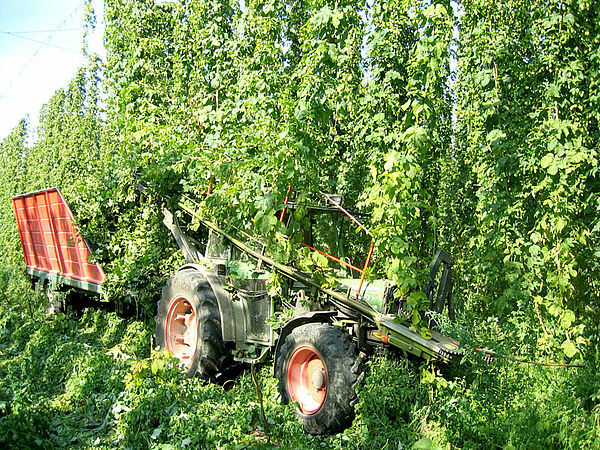 When the plants are cut depends on the variety, location and weather conditions in that year. 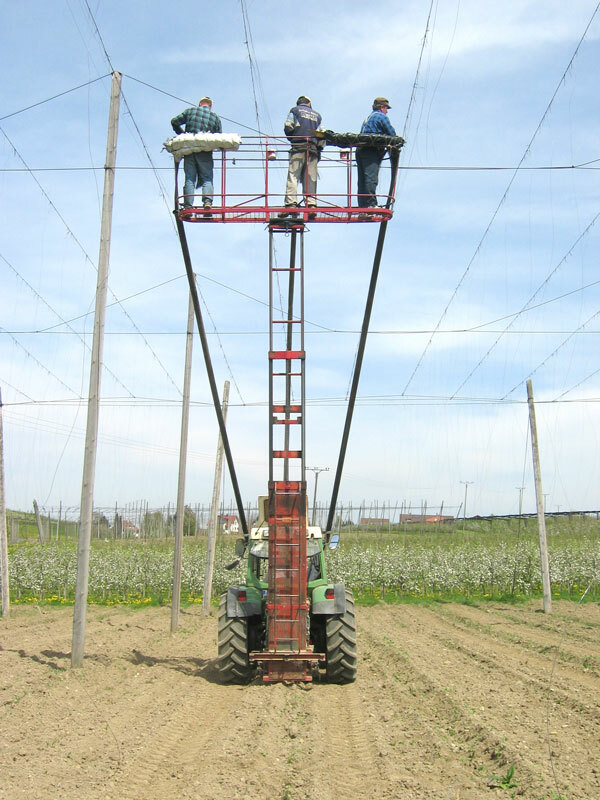 Standing on a front or rear lift, two or three people attach black annealed wire (with a diameter of 1.1–1.3 mm and a minimum breaking strain of 39–47 kg) by hand to the lateral wire. We have tried alternative materials such as plastic, paper and coir without success. The wire is anchored as close as possible to the rootstock using a metal peg. The wire must be tensioned, otherwise the bines will “lose the wire” more frequently. Three or four bines of approximately the same length and sturdy growth are gently twined around the wire in a clockwise direction. The longest must always be attached first, the shortest last. All of the bines twined around the wire should reach the height of the lateral wire and beyond. The bines can lose the wire if there are strong winds during their growth period. They are reattached using crotches, ladders and lifts. 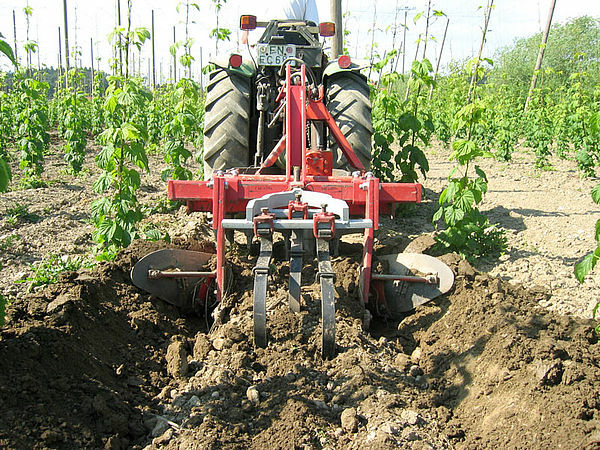 Earthing up is done with a mouldboard or disc plough, sometimes also combined with a rotary harrow. This generally takes place after training at the end of May, and a second time at the end of June. The objective is to work in fertilizer, stifle germinating weeds, suckers and offshoots and create a crumbly soil for the summer roots. Fertilization depends on the annual soil tests, while the use of pest management depends on the prognosis model and alerts (integrated pest control). Fertilising takes place in 2–3 applications in the spring using nitrogen, taking into account N-min analyses and the fertilization ordinance. Four to six peronospora treatments are also carried out as required, sometimes combined with insecticide, acaricide or foliar fertilizer. Harvest time in the Tettnang growing region lasts from around the end of August to roughly the end of September. The individual varieties are picked, dried and packed depending on their level of ripening before leaving the farms for the processing plants.